Thanksgiving fonts can make any holiday project extra special! Create place cards, invitations and a million kinds of creative decorations just in time for Thanksgiving. Oh, and what about using them for some cute little thank you cards or part of a hostess gift? Seriously, I could go crazy with these! Black Jack l Pumpkin Pie l Autumn Gifts l Pilgrim Hats l Turkey Time l Turkey Day l Puritan Party Hats l Mayflower l Pumpkins l Autumn Deco…plus some cute little Harvest dingbats! These are free for personal use, but please read the restrictions when you download your fonts. Looking for a beautiful Thanksgiving idea or two…or three?? 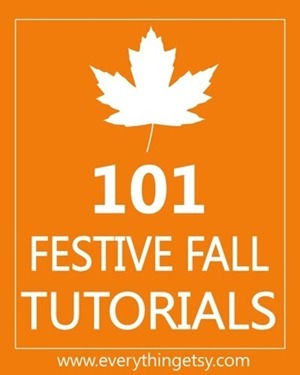 Check out 101 Festive Fall Tutorials! Are you a font junkie?? You might enjoy this post with 25 Crafty Fonts! 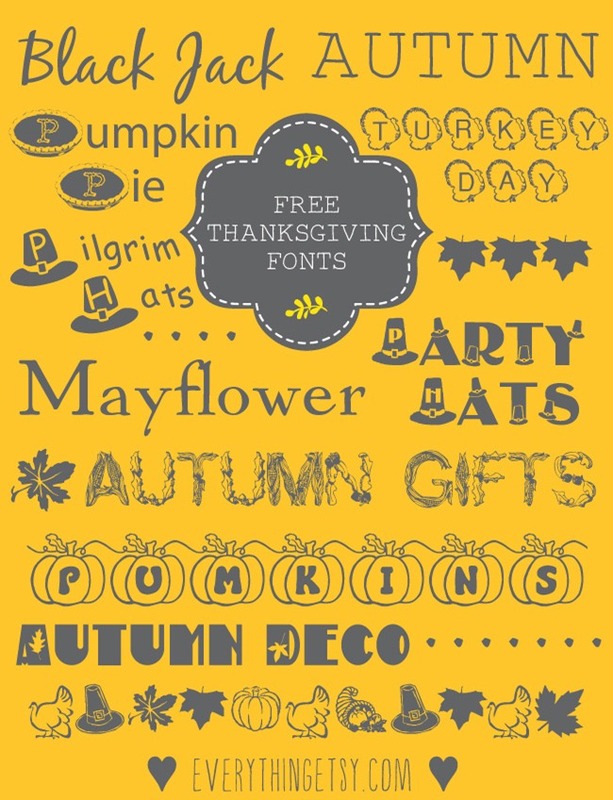 Which one of these Thanksgiving fonts is your favorite?? What would you like to make with them? I can always use some crafty ideas! You could use these for place setting name tags. Do you have the link for the one on the top “Autumn”?